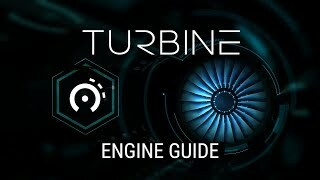 TURBINE is a revolutionary sound design plug-in that gives you access to a wide range of authentic virtual engines based on their real-world counterparts. Over the last 4 years of intense research and development we shaped this breakthrough software tool that revolutionizes the way we do sound design. TURBINE is here to blow your mind and to simplify your work in so many ways. You can change and automate all parameters in real-time, giving you full control over the final result. 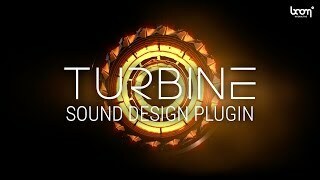 • TURBINE is a software plugin (VST, AU, AAX) for Windows & Mac. It requires an audio host software, and does not work as a standalone application. 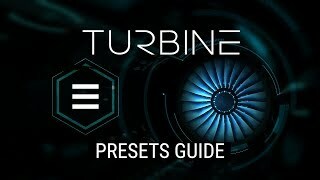 • TURBINE works with the most common audio host software apps that support VST 2.4, AU or AAX plugins, such as Logic Pro, Pro Tools (11+), Cubase, Nuendo, Ableton Live, Reaper. 2. A portable USB device that must be purchased separately. Please note that a lot of software plug in creators use the iLok system, so if you already own a 2nd generation (or newer) iLok USB device, you don’t need to purchase another one and if you purchase an iLok USB device now you can use it with software from other manufacturers (one iLok to rule them all). A 2nd generation (or newer) iLok USB device must be plugged into your workstation to run our TURBINE software. 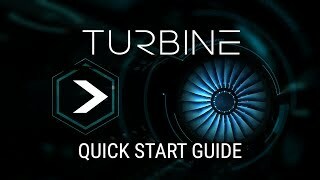 Without a 2nd generation (or newer) iLok device, the TURBINE software will not load. This applies to both editions, the free trial and the full version. When plugged into your workstation, our software will recognize your license and you can work with it. Categories: Aircraft - Jet/Propeller Planes, Audio plugins & tools, Formats & Plugins, Sci-Fi, Vehicles, Whooshes.